‘The Leisure Hive’ represents a new beginning of sorts for Doctor Who, marking the beginning of Tom Baker’s final season in the titular role while also introducing John Nathan-Turner as producer. Nathan-Turner would, of course, go on to become the longest-serving producer of the classic series, holding the position through three lead actor changes and until the eventual cancellation in 1989. With a flashy new title sequence, ‘The Leisure Hive’ marks the start of a shift to grander science fiction tales more reliant on continuity, a shift that catered to the fans but perhaps not to the general public and a controversial choice in hindsight. Even if ‘The Leisure Hive’ isn’t quite the epic adventure intended to open Tom Baker’s send-off season and the addition of question marks to the Doctor’s ensemble seems somewhat ill-conceived and farcical, it’s clear that the general sort of campiness that dominated some of recent serials has been diminished so far as the budget would realistically allow. Indeed, there’s a sense that the Doctor knows his end is nearing from the start, and there’s a recurring theme of decay throughout the ups and downs of the season that brings out the very best in Tom Baker as he gives a much more subdued take on his character than in recent years. Undeniably, as the Doctor describes the Leisure Hive itself as an Argolan farewell gesture and a tomb in which the dead are walking set upon a war-ravished planet that won’t be habitable for centuries, an immense atmosphere and sense of finality are established and maintained throughout the tale. The story also does a good job exploring its guest characters and environment as the Foamasi are set up as the villains of the piece. Although the Foamasi end up being more of a red herring than anything else, the revelation of Pangol as the true villain is handled exceedingly well and brings into question assumptions at the very core of the serial and of the Argolan race excellently. Pangol’s thirst for war compared to his elders’ desire for peace following the Argolan war forty years ago speaks to the fact that history is prone to repeating itself as well as to the generational gap that is always present in any society, and Pangol’s unabashed sense of nationalism and overt racism is shockingly poignant and effective for a family programme at the time. 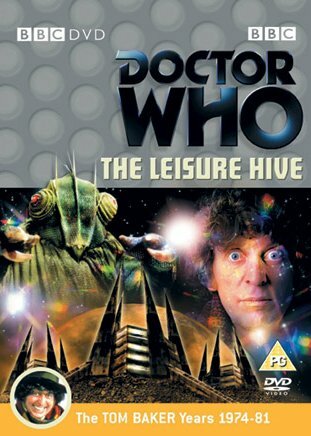 In the end, ‘The Leisure Hive’ works better than it should considering that is a holdover episode from the previous regime and perhaps helped by the fact that its production went significantly over budget. Tom Baker and Lalla Ward give their usual strong performances, and Baker truly heightens his game by adding an ominous and more subdued edge to his Time Lord here. The direction is masterful and builds the tension and atmosphere well while keeping the Foamasi hidden and deflecting from the obvious truths. It is at times quite clever and insightful regarding the thought processes of different individuals, and although it may not hold an incredible reputation among fans, it certainly holds plenty of merit when taken as a whole.